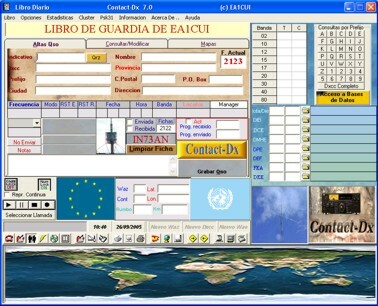 The CONTACT-DX program has been designed for use as a real logbook, taking advantage of the full power of Windows, means it that being a 32-bit application will not run in any way on 16-bit systems (Windows 3 .xxxx). 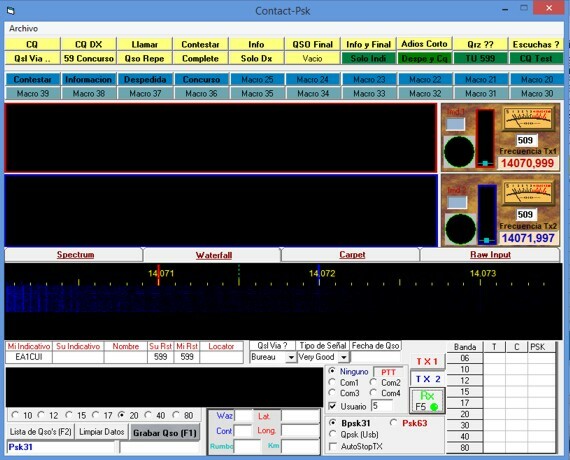 In the program environment they are designed almost all the tools necessary to make happy any amateur radio. 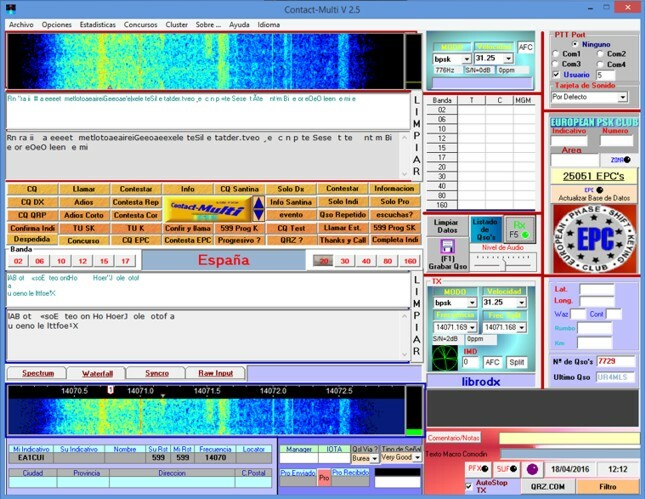 From the CONTACT-DX, you can create as many books Diaries as the user need only giving it a name, apart from this, the program is assigned two general journal fixed, be it to separate the contacts made in the high frequency bands or whether someone is still working the band of 11 meters, as the program also includes the latter. 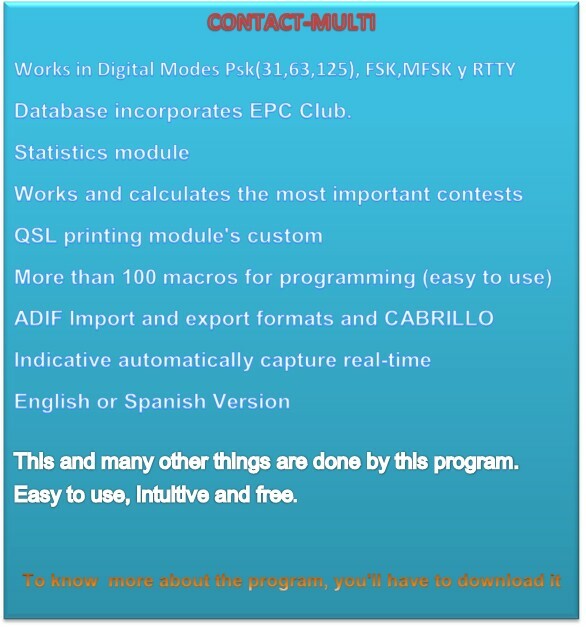 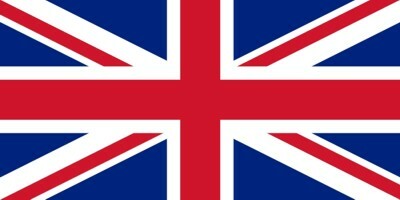 Contact-Dx The program is supplied with an exclusive module PSK for all those lovers of digital communications.